At Blue Dog RV Pasco, we’re dedicated to pairing customers with their ideal new or used RV, trailer, or camper. Our dealership in Pasco, Washington, provides friendly service as well as a variety of different RVs ranging in style, capability, and manufacturer. With the help of our welcoming staff members, we’ll find the right RV for your lifestyle. 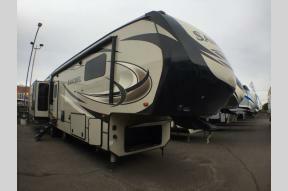 You won’t need to look far for RVs for sale in Pasco, WA – start and finish your RV search right here. Browse our inventory of different new and used RVs, and consider the comfort and versatility of a motorhome, or the convenience of easy transportation with a travel trailer or a fifth wheel camper. Whether you’re going on a weekend camping trip or embarking on a cross-country adventure, you can find what you’re looking for at our store. Explore our parts center if you’re interested in accessorizing your new RV. When your RV needs to be serviced or repaired, schedule an appointment with the trained technicians at our service center. Contact us or call (509) 492-5783 for more information about our RVs, services, and more.